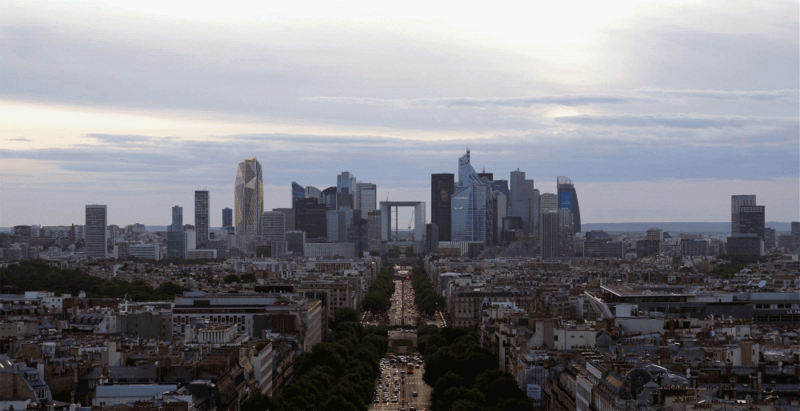 Great news for all fans of the French capital: The Paris district "La Defense" will become home to a spectacular new skyscraper, featuring thyssenkrupp's unique TWIN elevators with two cabins instead of just one moving in the same shaft. thyssenkrupp Elevator will deliver twelve TWIN elevator systems, a technology that increases transport capacity and improves energy efficiency. Applying the TWIN frees up floor space, as this technology transports more people without increasing the number of elevator shafts. The new tower will also include another twelve conventional elevators and escalators. "The forward-looking concept of the TWIN solution played a decisive role in the development of the project, as it perfectly accommodates the tower's high standards and demanding transport capacity, without occupying additional floor-space with more elevator shafts," comments Peter Walker, CEO of thyssenkrupp Elevator. "The TWIN technology offers higher performance, safety and comfort, but also better energy efficiency. Sustainability is a priority in the comprehensively certified Hekla Tower." From the outset of project conversations, the participants on both sides attached great importance in responding to the individual requirements and wishes of architects and project managers.